Small-town Character with Big City Conveniences. The Falls of Prosper is a serene master-planned community located in the heart of beautiful Prosper, Texas. Residents enjoy scenic walking and bike paths as well as fantastic shopping at nearby Frisco Square. Children living in The Falls of Prosper attend schools in the highly acclaimed Prosper ISD. A quick trip on the nearby Dallas North Tollway provides convenient access to all that the Dallas/Fort Worth metroplex has to offer. The Falls of Prosper is just 11 miles away from the Frisco Stonebriar Mall. If you are looking for small-town character with all the conveniences of big-city living, The Falls of Prosper fits the bill!Take a tour of our beautiful model home (4001 Crawford)3,008 to 4,001 Sq. 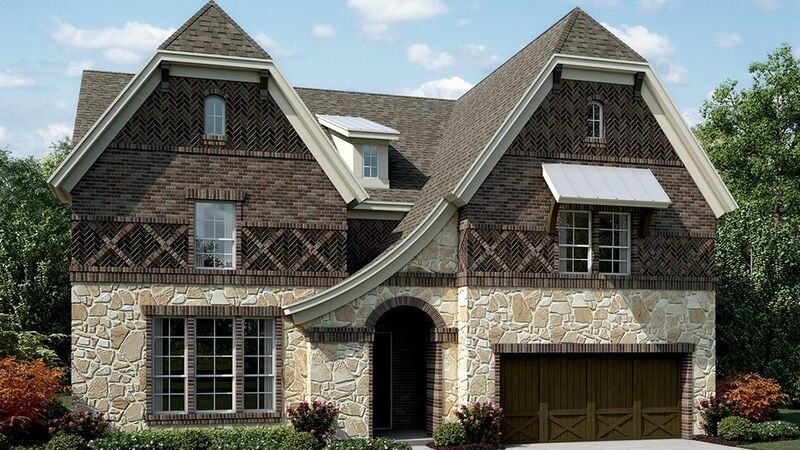 Ft.4 to 5 Beds3 to 4 Baths0 to 1 Half Bath1 to 2 Story Homes2 Car Garage Make Falls of Prosper Home with Our Special Financing OptionWhat could be smarter than getting your dream home at Falls of Prosper while saving hundreds every month for two years? That’s money you can use to buy furniture, create an emergency fund, or invest in your future. Learn more about what our Rate Roll Back, 2/1 Temporary Buydown Program is and how it helps you save today, plan for tomorrow, and ease into home ownership confidently at Falls of Prosper. Calculate Your Savings at Falls of Prosper.